Many international friends of Vietnam expressed warm sentiments for late President Ho Chi Minh as they joined the celebrations of his 120th birthday (May 19). Foreign friends of Vietnam commented from the offices of various Vietnamese embassies around the world, May 18. Two days ago, the Embassy officials held a wreath-laying ceremony along Ho Chi Minh Avenue, in the Algerian capital of Algiers. At the Vietnamese Embassy in Germany, Prof. Wilfried Lulei, a German researcher of Vietnam Studies, and German journalist Hellmut Kapfenberger, who recently authored the book, “Ho Chi Minh – A Chronicle”, attended a ceremony commemorating Ho Chi Minh’s birthday. Meanwhile, the Propaganda and Education Committee of the Laos People’s Revolutionary Party invited Ta Minh Chau, the Vietnamese Ambassador to Laos, to its office for a presentation honoring the life and career of late President Ho Chi Minh. In his presentation, Mr. Chau said late leader left for Vietnam and the world three invaluable legacies: the Ho Chi Minh’s thought, the Ho Chi Minh era, and the Ho Chi Minh example of morality. In Bangkok, the Thai-Vietnamese Cultural Association and Chulalongkorn University launched an exhibition-seminar titled “Ho Chi Minh – Greatness in Simplicity,” at the Pridi Phanomyong Institute. 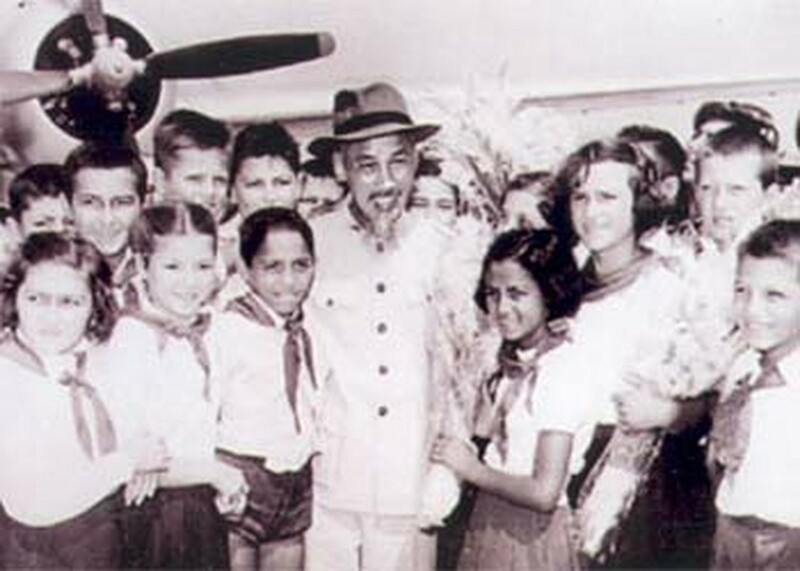 Over the past several days, there have been many articles about Ho Chi Minh published in international magazines, honoring the late leader as one of the principal figures of modern world history. One of those articles, titled, “The Legend of Ho Chi Minh,” was written by Maria Gabriela Munoz, for the Mexican magazine Muy Interesante.